Instantly download your FREE PDF ebook. 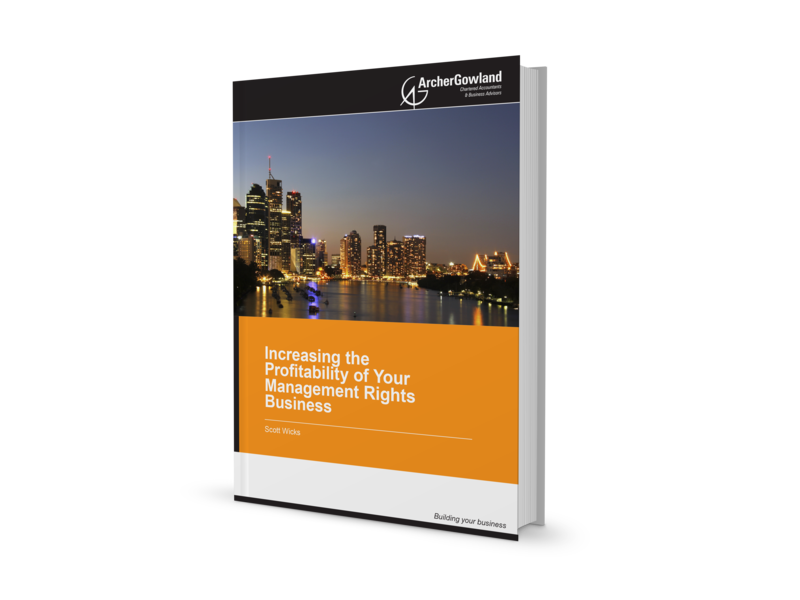 This ebook has been written to assist current owners of management rights businesses (MLRs) and for potential MLR owners to evaluate the opportunities they can gain from buying an MLR. Archer Gowland is an experienced MLR accounting firm. Smiljan Jankovic, Director of Archer Gowland, has written this ebook to provide you with valuable insights to grow your business. Simply complete the form and you will receive a PDF that you can download instantly. We will also send the link to you in an email for future reference. We will honour your details and at most you will receive a monthly email with accounting advice to grow your business. For more information, or a FREE information session regarding your MLR business, please contact Smiljan Jankovic on 07 3002 2699.